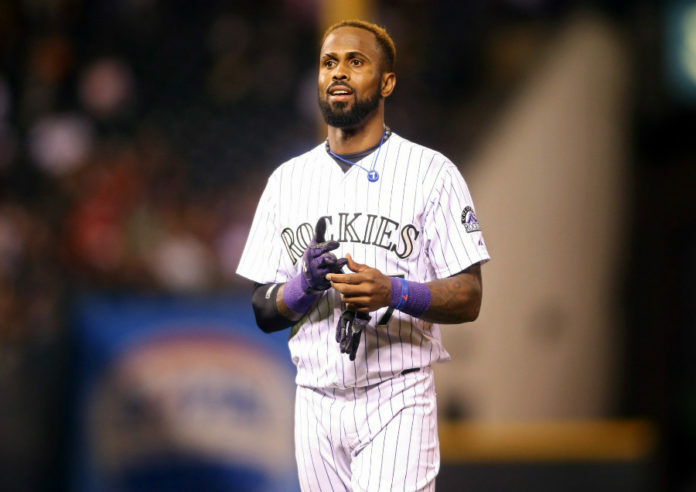 Colorado Rockies shortstop Jose Reyes has not played this season, thanks to an indefinite suspension from MLB commissioner Rob Manfred. With the domestic abuse charges against Reyes dropped, though, Manfred is expected to announce a more specific punishment. Until then, the Rockies are forced to simply wait. According to Nick Groke of The Denver Post, that decision could come this week. Jose Reyes is the odd man out in the clubhouse. He has no locker or any sort of connection to the team at this point, except for the big paychecks he’s been cashing from his couch — the Rockies have given out roughly $3 million dollars to Reyes since the start of the season. The Rockies have clearly moved on from Reyes with emergence of rookie phenom Trevor Story, but that doesn’t mean there won’t be question marks when he returns. 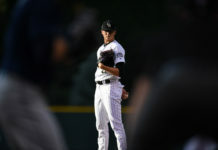 Major League Baseball recently handed down a 30-game suspension to New York Yankees’ pitcher Aroldis Champman who was also involved in a domestic dispute during the offseason. Using that as a baseline, Colorado could expect something similar for Reyes, though it’ll be interesting to see if Manfred takes into account the games he’s already missed. As it stands right now, no official word or rumor has been floated around, as commissioner Manfred is the one who is in control of the situation. 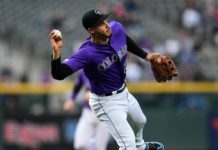 Once a decision has been made, the next move can be made by the Colorado Rockies as to what to do with the veteran shortstop.